Lidia Castillo is a passionate Chef who puts her passion and creativity into preparing delectable dishes that bring a smile to people’s faces. 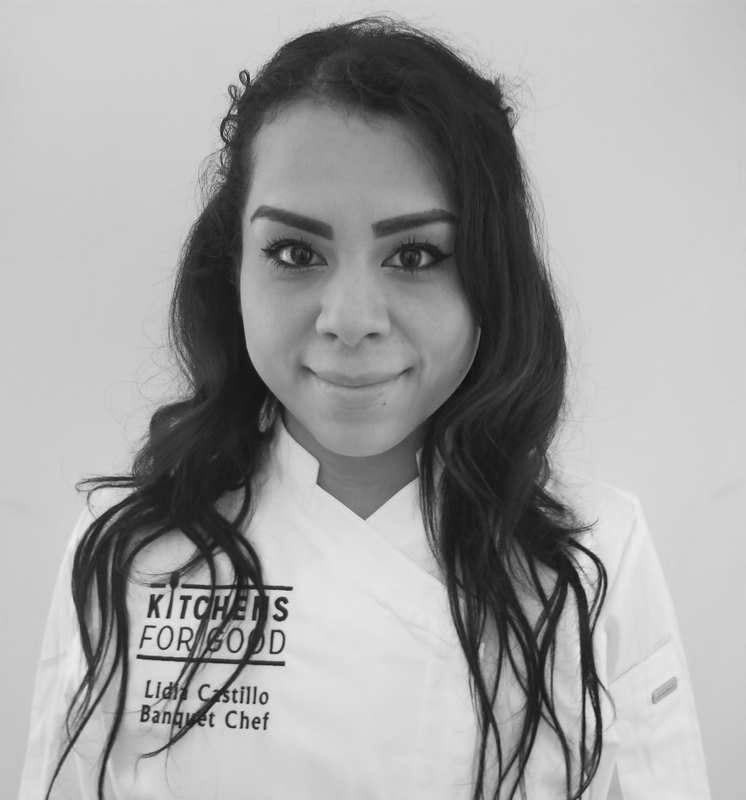 Having worked at Kitchens for Good since its launch in 2015, Lidia has worked her way up from cook, to sous chef, and now Banquet Chef, demonstrating her deep dedication to all things food and cooking along the way. From the first amuse bouche to the last bite of dessert, Lidia strives the make each guest experience spectacular. Lidia is originally from Tijuana Mexico, and moved to San Diego in 2007. She studied Culinary Arts at San Diego Job Corps; also studied Child Development at Cuyamaca Community College. When Lidia is not working she spends time with her baby boy enjoying the beach and visiting her family.